Milestones that are met by our children are documented and recorded—our child’s pediatrician informs us of when those milestones typically happen based on recorded data that coincides with a particular age. Baby should be rolling over at six months old, walking at around one, at three years old should be able to speak in multi-word sentences and by four years old should ride a tricycle. Every parent has expectations of their children crossing milestones around the same age that they themselves crossed that milestone. 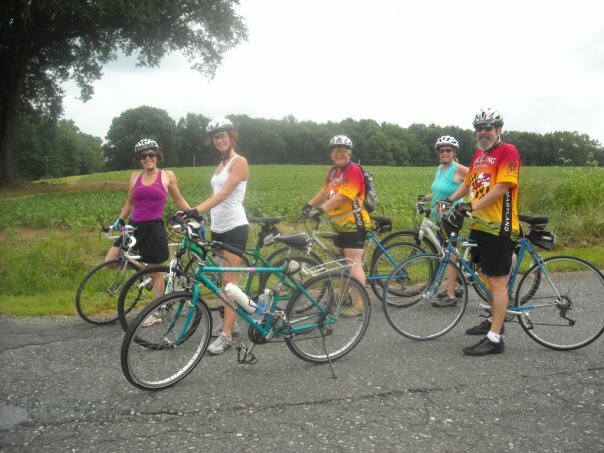 I grew up in a bicycling family; our family would go on week long bicycling trips while other families went to Disney World. As an adult I want to share my love of bicycle riding with my children. But it’s a milestone for my child, L, who is on the Autism Spectrum that doesn’t come easy. Like other parents I tried the scooter bike when he was three years old. While the other three-year-olds scooted by, our experience resulted in meltdown after meltdown. The meltdowns by children on the Autism Spectrum are worse than a meltdown by a neurotypical child; there is a lack of communication and there is no compromising. Needless to say, we gave up on the scooter.